The other day I walked into the garage to toss stuff into the Rumpke bin and I smelled smoke. First thought in my mind was- run then the adult part of my brain kicked in and I started sniffing and checking around. Once I opened the garage door the source of the smokey smell was easy to identify. Our neighbors were using their fireplace probably in an attempt to soften the chill the recent burst of cold weather in greater Cincinnati. 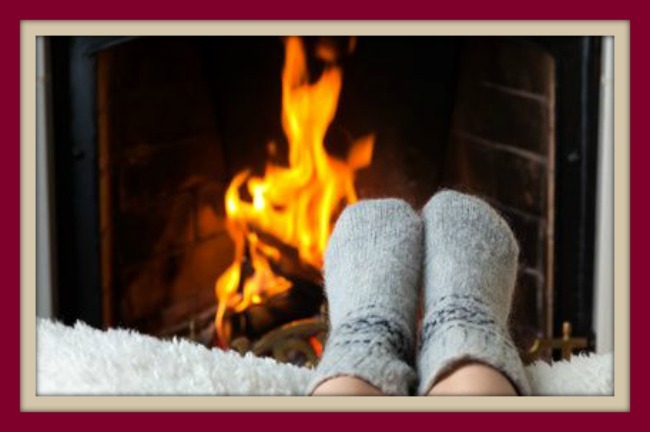 Before you toast more than your toes this year- remember fireplaces/chimneys require yearly maintenance! The National Fire Protection Agency recommends that wood burning chimneys be swept at the beginning of winter to remove soot and debris. The “chimney sweep” should inspect the structure of the chimney for structural cracks, lose bricks or missing mortar. The “sweep” should also check the liner for cracks and deterioration. Cap the top of the chimney with a wire mesh guard- to deter the neighborhood critters from visiting you unexpectedly. Know the difference between seasoned and green wood. Seasoned wood (cut at least 6 months prior) burns cleaner and doesn’t add to the dangerous build up of creosote. Green (newly cut) wood produces more creosote! As a side note from years in real estate- never stack (and I mean never) stack wood next to your home. Find a place away from the foundation to stack the wood because it will eventually attract wood eating insects and critters looking for warmth. Learn how to build a safe fire. Logs need to be at the back of the fireplace sitting on a metal grate. Learn how to use kindling-not flammable liquids- to start the fire. Finally use a screen or doors to keep flying embers from damaging carpets and humans. Like many things we do around our homes, taking the needed simple steps at the beginning of the season can make a huge difference later on. If you need the name of a good “chimney sweep”-just let me know.